The cnc spindle is the heart of any mill. It consists of a rotating assembly with a taper where tool holders may be installed. A cnc spindle motor with optional transmission of some kind rotates the cnc spindle. 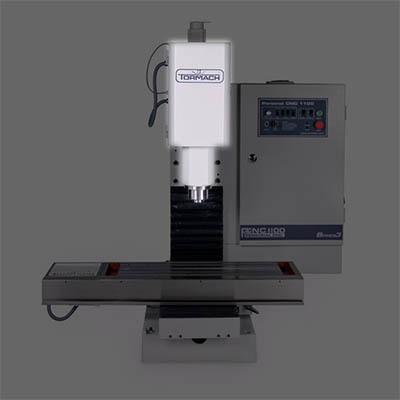 The transmission matches the highest power rpm range of the cnc spindle motor to the spindle rpms that are ideal for the particular speeds and feeds of the material being cut. Spindles come in three types. There are cartridge spindles that are just the rotating assembly without motor or transmission. Then there are self-contained spindles of various kinds. 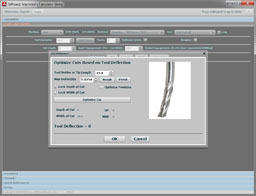 For example, Trim Routers are popular with the DIY CNC crowd, especially for CNC Routers. 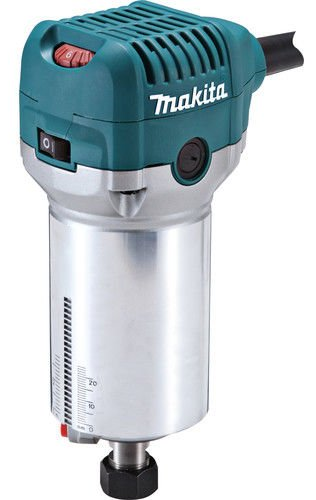 Self-contained spindles incorporate the rotating assembly and motor all-in-one. Lastly, there are fabricated spindles where the parts such as the spindle bearings are fitted to a (typically) cast iron housing. That’s the sort of construction used in a Bridgeport milling machine or many Chinese Import machines such as the RF-45, for example. Cartridge Spindles are what pretty much every modern VMC uses. They’re convenient to swap out and rebuild while keeping the machine going, they’re more convenient to manufacture than fabricated spindles, and they generally just work well. Angular Contact Bearings: This particular spindle has two angular contact bearings plus two deep groove ball bearings (salmon colored). The bearings can be the most important part of the spindle and determine its maximum rpm as well as its rigidity and suitability for CNC. 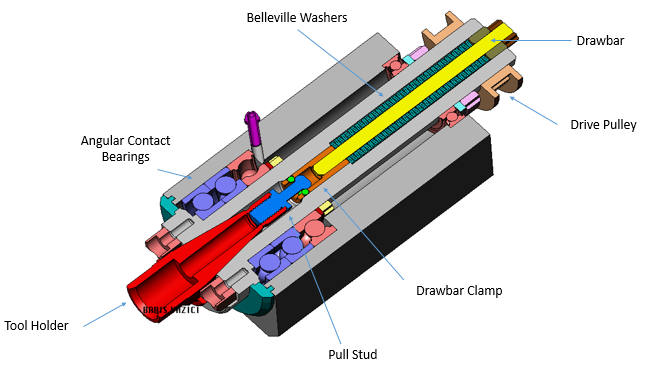 Drawbar: The Drawbar is used to “draw” the Tool Holder up into the Spindle Taper, hence the name. Belleville Washers: These are a type of flat spring whose purpose is to keep the drawbar’s tension on the tool holder. Pull Stud: This is a replaceable part that screws into the tool holder. The Drawbar Clamp grabs the pull stud so the Drawbar can pull it up into the Taper. Drawbar Clamp: There are different designs, but the Drawbar Clamp locks the Drawbar onto the Pull Stud when it has brought the Stud far enough up into the Taper. Drive Pulley: The motor or transmission rotate the spindle via the Drive Pulley. The design shown is a timing pulley, but many styles are available. Ambitious DIY CNC’ers can design and manufacture their own spindle cartridges, but it’s much easier to buy one. There are high-quality (at least for the DIY market) cartridges available at reasonable prices from outfits like Tormach. You can even find used cartridge spindles from VMCs in places like eBay. Just be aware that if they are not in good condition, the bearings alone for a commercial VMC are very expensive to replace. If the taper is damaged or there is excessive wear requiring re-machining, you’ll be looking at a very costly project. 1.25 HP: That’s plenty of power for the scale machine and frame stiffness you’re likely to achieve in a DIY CNC project. 10,000 to 30,000 rpm speed range is pretty broad. Easily mounted with a simple spindle clamp. You can even mount one on the side of an existing spindle to pick up a higher rpm range. The toolholder is not removable. The spindle has a collet that usually only accepts 1 size tool shank and there’s no quick change tool holders. Manual tool changes are pretty slow and you can forget automatic tool changers. Routers and similar spindles can be really noisy, though that isn’t universal. In older design manual milling machines, we often find what I’m calling “Fabricated Spindles”. These spindles are the hardest to work with and modify as they’re little built right into the spindle head casting and don’t allow much room for modification. With that said, a common approach is to at least clamp down movable quills for greater rigidity. Another common modification is a conversion from gears (really noisy and slow!) to belt drive. 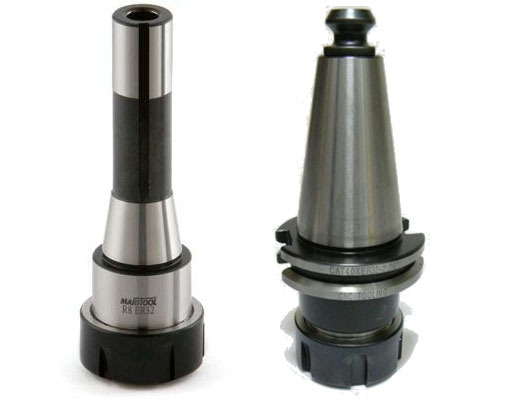 Putting aside the type of spindle, another important consideration revolves around tapers, drawbars, and tool holders. From the discussion above, you should have at least some idea of what a drawbar and a tool holder are. 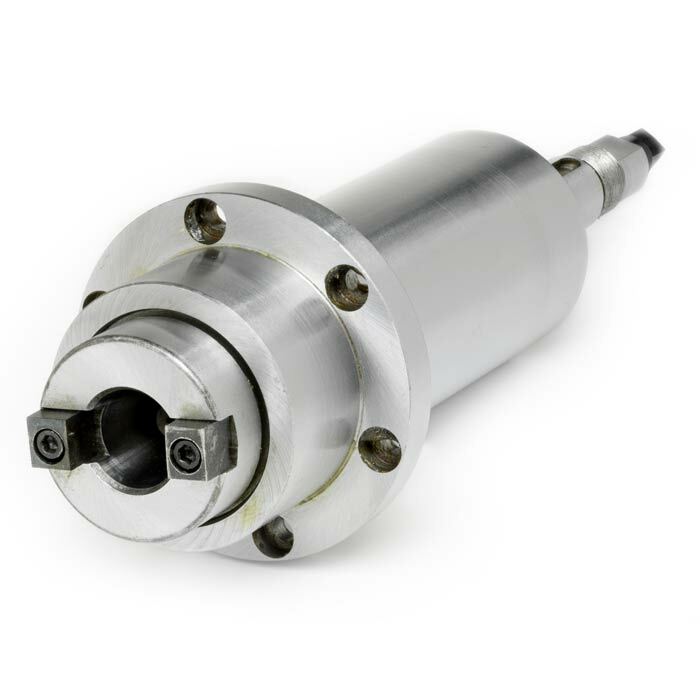 The Spindle Taper refers to the size and type of tool holder that will fit the spindle. For example, the R8 taper that was introduced with the original Bridgeport manual milling machines is very popular. It should be pretty clear that the BT-30 is beefier. It’s preferred for higher end applications, but the R8 is sufficient for most DIY CNC Milling Machines. There are many more possibilities, and we go into fair detail about the trade-offs in our Spindle, Drawbar, and Toolchanger article. What materials do you intend to cut on the machine? The rpm requirements for hard metals are quite a bit different than for soft materials like wood and plastics. What size cutters will you employ? WIll you eventually need an automatic tool changer? A lot of decisions will be made around this. In general, try to make your choices so as much inexpensive off-the-shelf accessories as possible can be used. Rather than choose an exotic spindle taper, choose something common so you can buy tool holders cheaply. Spindle Design is something I’ve been fascinated by and spent a lot of time delving into. The reality is that most DIY CNC’ers don’t need to know about it. Get yourself a nice cartridge spindle. Convert an existing mill from gear to belt drive. Or use a Self-Contained Spindle. 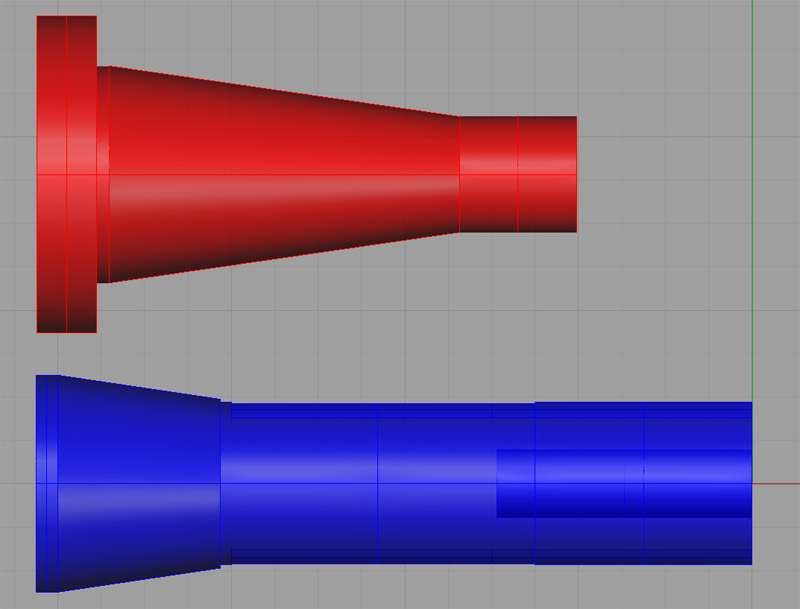 None of those projects require you to know an awful lot about Spindle Design. Just beware–those are deep waters with lots of sharks that are seldom explored by DIY CNC’ers.